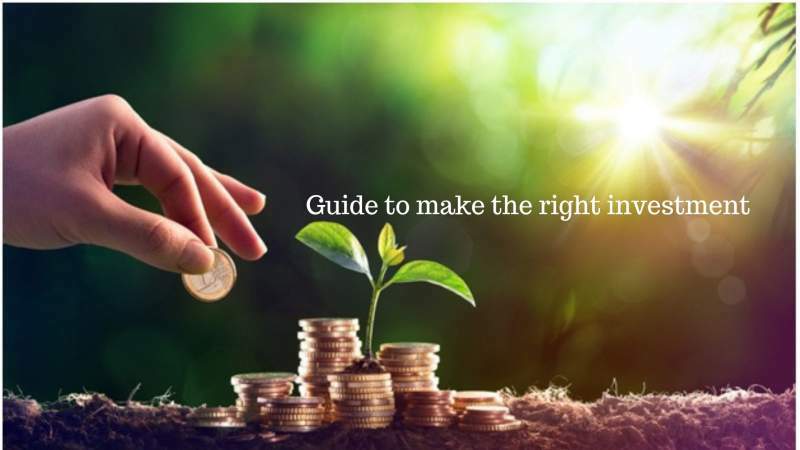 When it comes to retirement funds, you need to pick the right investments if you want to maintain your usual standard of living. Here’s a comprehensive guide. Data shows that a third of Americans have less than $5,000 saved for retirement. If your retirement funds tell a similar story, you’re probably interested in how you can make a change. The problem, though, is that planning for retirement isn’t easy. One article tells you to put all your money into a Roth IRA. The other tells you to avoid using a 401K account. This post aims to remove some of the confusion associated with retirement investing. With the help of the tips in this post, you’ll find that retirement planning isn’t as scary as it seems. If you can start saving early, you’ll find it a lot easier to increase the value of your retirement account. The problem, though, is that a lot of people feel like they don’t have the discipline needed to save moneyon a monthly basis. If you’re one of these people, consider setting up an automated saving system. If you speak to your bank, they may be able to set things up so that a certain amount of money is deposited into your savings account every month. With this kind of setup everything will be automated, thereby making it easier to save money. If you can increase your earning power, it’ll be a lot easier to increase the value of your retirement account. If you want to improve your earning potential, you can either move up in your existing career or select a new job altogether. The option you pick will depend on your particular situation, as some careers provide more progression than others. Take a look at the people who are a few years ahead of you and find out what their salaries are. You can do this by looking at job listings for similar roles or with the help of websites like Glassdoor. If the sum isn’t that much higher than what you’re currently earning, it might be worth going into a different career. The fastest way to boost your earnings is by selecting a career that’s in demand. In the current climate, you’ll find that jobs related to coding tend to pay very well. For instance, the average wage for a web developer is around $63,078, with higher earners easily making above six figures. The good thing about learning something like coding is that you can go freelance. Thus, even when you consider yourself retired, you might be able to pick up a project here and there to help keep you busy and supplement your income. Plus, freelance coders can earn hundreds of dollars per day. One of the options you can use when saving for retirement is a 401K account. This account lets you save money before you pay tax on your income. Only when you take money out of the account will you need to pay any taxes on it. The money you put into a 401K goes into an investment account, and this can help the value of the account grow over time. You can choose how you invest the money and whether you want the portfolio to be aggressive or conservative. Another benefit of using a 401K is that some employers might match your contributions. This means that if you put $1000, they’ll also put in $1000. If you’re ever offered something like this, it can be a great way to boost the size of your retirement account quickly. In fact, when looking for a job, you may want to seek out employers that explicitly state they’ll match your 401K contributions. One of the downsides of using a 401K is that you’re going to face a limit concerning how much you can invest. At the moment the 2019 employee contribution limit is $19,000. Thus if you’re a high earner, you might find yourself limited with how much money you can put into your 401K on a yearly basis. It’s also worth noting you’ll face a penalty if you withdraw the money before the age of 59.5. The idea behind this restriction is to prevent you from eating into your retirement fund. That said, some purchases provide you with access to your 401K, with one example being the purchase of a house. You can also put your retirement money into an ‘individual retirement arrangement,’ also known as an IRA. This, in effect, is a savings account that’s designed to help people save for retirement. You don’t have to put ‘cash’ in your IRA, and you can fund it using a wide range of investment products. The great thing about an IRA is that it helps you save money on tax. The money you put into an IRA is not going to contribute to your taxable income for a specific year. If you select the right kinds of investment products, then the money in your IRA will grow over time. It’s worth noting, though, the amount you can deduct will depend on whether your employer offers a 401K plan. If they do, you might not be able to deduct the entire yearly IRA contribution from your taxable income. Like the 401K, the IRA is going to face a contribution limit. Sometimes this figure can go up and sometimes it can go down. For example, in 2019, it’s expected that the IRA limit is going to rise to $6000, an improvement of $500, from the previous figure. As the name suggests, the Roth IRA is like the IRA account covered above. With a Roth IRA, you pay taxes on the money you contribute to the account, but you don’t pay money when you withdraw the funds. This is powerful because if an investment grows in value, you have the chance to earn a lot of money, without having to pay much in taxes. Like the 401K, this is intended to be an investment vehicle, so you will face penalties if you decide to withdraw the money before the age of 59.5. If you have the funds to do so, it’s a good idea to invest in both a 401k and an IRA account. Especially when you consider the benefits of a matched 401k contribution and the potential for low tax earnings with a Roth IRA. Of course, your ability to invest in both of these accounts will depend on how much earning power you have. But as mentioned earlier, you can increase your earning potential by learning some new, in-demand skills. If you’ve maxed out the accounts discussed above, you’ll likely want to do some investing on your own terms. But if you take this approach, it helps to practice some caution by diversifying your investments. Many fall into the trap of putting a lot of money into one company. While this can be a good option in the short term, if there is a correction in the market it can lead to huge losses. People also make the similar mistake of putting all their money into one kind of stock. An example of this may include investing only in companies that belong to the software industry. This is a problem because if one company experiences trouble, the rest of the companies in that industry can experience a drop in stock price too. It’s also vital that you consider the fees you’re going to face when you put your money into investments. If you’re using a brokerage firm to help you manage your investments, make sure you know how much they’re going to be charging you. If you’re not happy with the fees, don’t be afraid to work with another firm. One of the ways you can judge the quality of a brokerage firm is by reading the content on their site. If they’re knowledgeable, they’ll share insights on their blog. If you’d like to see an example of a company that does this, you can read more here. Additionally, make sure you know what your tax burdens are going to be when you turn your investments into cash. Not doing this can lead to you misjudging the value of your investments and thus ending up with less money than anticipated. Do You Know How to Improve Your Retirement Funds? Retirement planning is something that a lot of people put off. But if you don’t plan, you may never be able to retire comfortably. This post has reviewed some of the things you can do to bolster your retirement funds. One of the best things you can do is to start as early as you can. You should also think about how you can improve your income so that it’s easier to save more money in shorter periods of time. Even if you’re not a financial wizard, you should be able to see some results from investing in a 401K or an IRA account. At some point, you may max out these accounts, and you may want to put your money in other investment vehicles. If you decide to do this, make sure you practice some caution, as not doing so, could lead to you losing your entire retirement account. Want to learn more about forex trading? Check out this blog post for some tips.